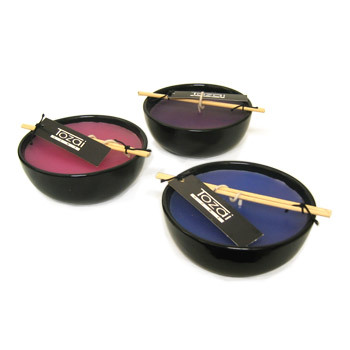 Add a touch of Asian influence to your home decor with these stylish black ceramic bowl candles. Currently available in 6 different sharp colors and clean fragrances. Average burn time is 13 hours.